Filed to: interstellar?Filed to: interstellar? Artist’s concept of an asteroid. Asteroid 2015 BZ509 is orbiting the wrong way around the Sun. Why? According to a hyped new paper from astronomers Fathi Namouni and Helen Morais, this asteroid with its contrary orbit may not be native to our Solar System at all—it may have been captured from interstellar space. If that’s true, it could be important to understanding how the Solar System evolved. 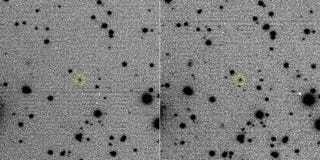 “The presence of extrasolar asteroids bound to the Solar System early in its history implies the need for a revision of planet formation theory,” the authors write in the paper published in the Monthly Notices of the Royal Astronomical Society. The presence of small bodies from other stars could have impacted the way other asteroids formed and evolved. 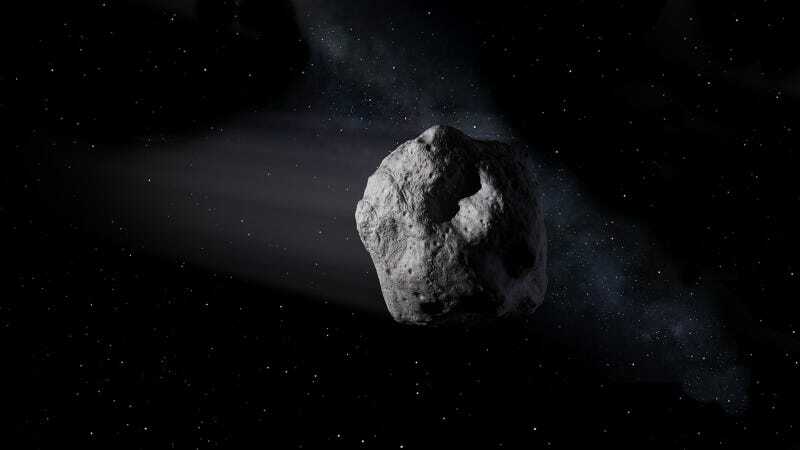 Asteroid 2015 BZ509 orbits the Sun around the same distance as a host of rocks near Jupiter, but it moves in a seemingly stable eccentric orbit in the opposite direction. Standard planetary formation theories don’t explain how an asteroid could end up moving this way. Morais and Namouni built a simulation of a million asteroids like BZ509, based on observations of the rock and our understanding of the Solar System, and ran it in reverse to the beginning of planetary formation. Their most likely result was that the asteroid has been in the Solar System for most of its 4.5-billion-year history, but was captured from interstellar space by the Sun’s gravity. The finding that the asteroid may have been captured from outside our Solar System is based on a computer model—so it may not be truly what happened. National Geographic spoke to a number of outside experts who were skeptical of the claim. Perhaps an inactive comet stemming from the furthest reaches of the Solar System could result in a similar-looking orbit, they said. It’s an interesting and plausible thought, though. Just recently, an interstellar asteroid called ‘Ouamuamua came blazing through the Solar System, and it was the first interstellar traveler ever spotted by astronomers. Perhaps an asteroid that arrived early in the Solar System’s history could still be here today. Ultimately, scientists won’t truly understand BZ509's nature until a mission heads to the rock and collects a sample to determine how different it is from the Solar System objects we already know. But until that happens, computer models like this one can offer a best guess.